NBA players step out in style for the big game. 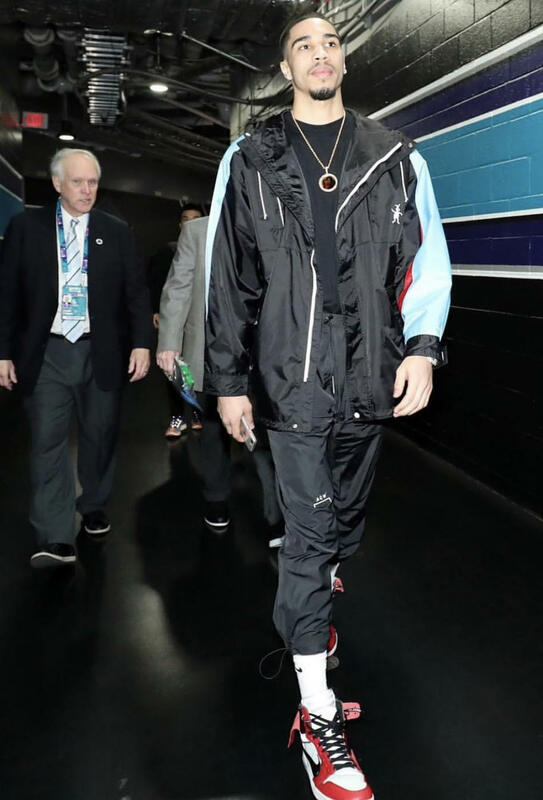 Jayson Tatum, upcoming NBA star for the Celtics, was seen wearing a A-Cold-Wall sweats and Nike Air Jordan 1 x OFF-WHITE sneakers. 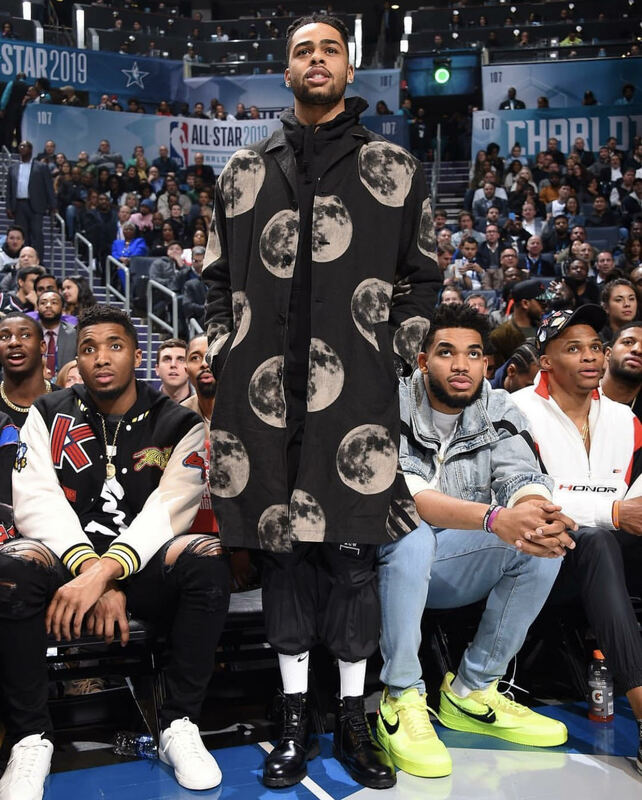 D’Angelo Russell was dressed to the nines with a wool coat by Robert Geller which was featured in this year’s New York Men’s Fashion Week. He paired it with A-Cold-Wall sweatpants and completed the look with sleek black boots. 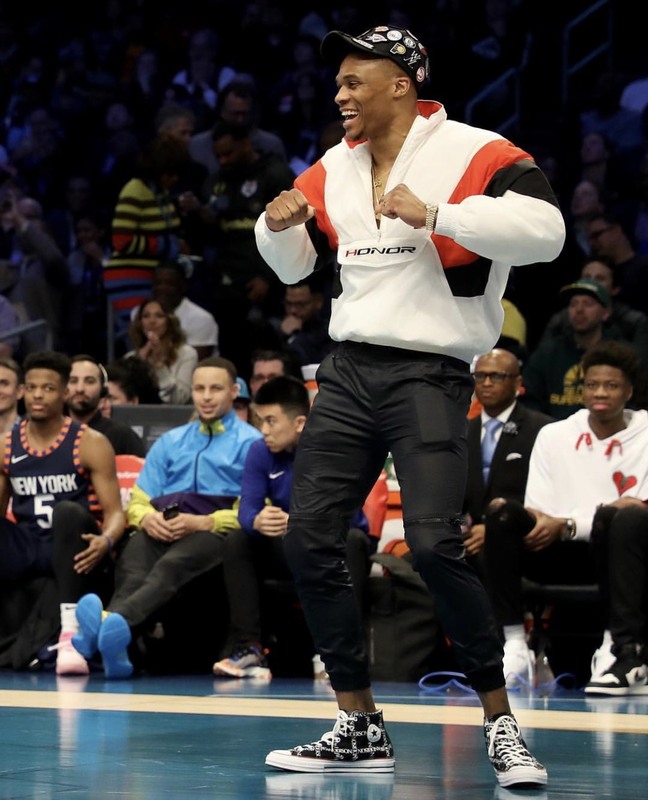 Next, we have the Oklahoma City Thunder’s Russell Westbrook, popping out with an Honor The Gift pullover, black pants, and JW Anderson wrapped Converses. He didn’t disappoint. 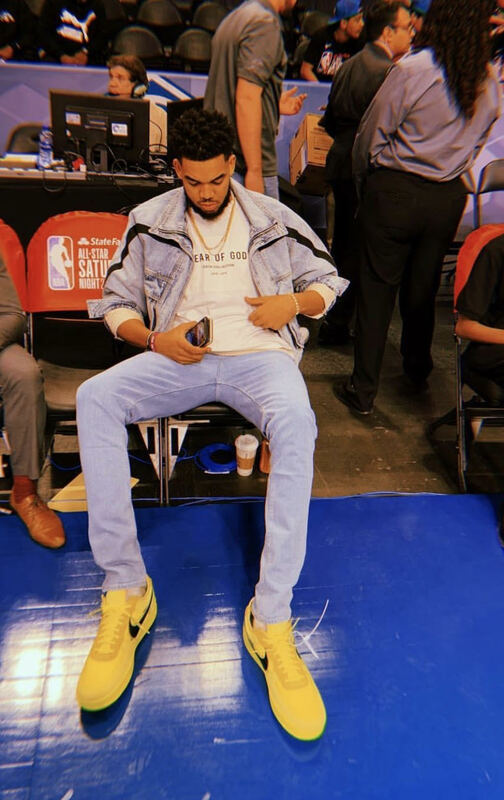 Karl-Anthony Towns of the Minnesota Timberwolves was seen wearing a Fear Of God t-shirt with the denim on denim jacket/pants. Finishing off the look with the off-white Nike’s. 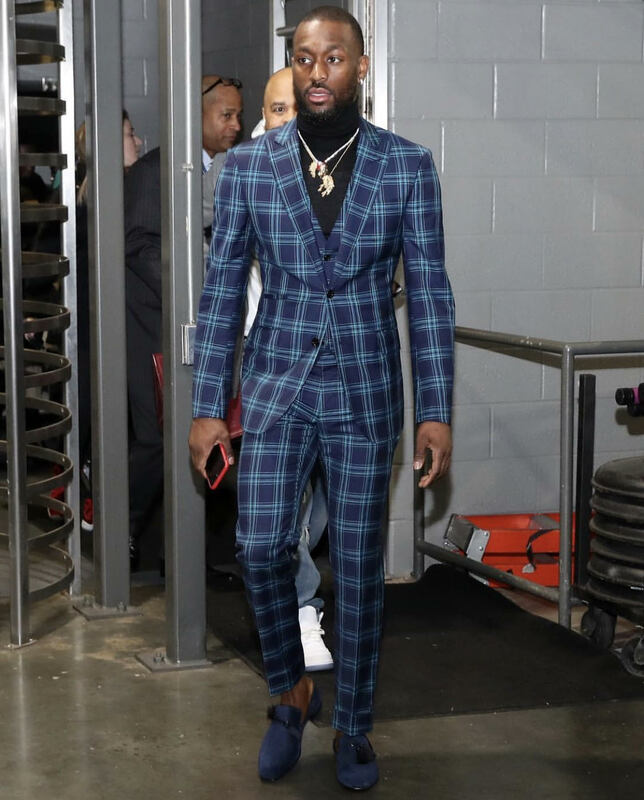 To finish off the weekend of great outfits, we have Kemba Walker of the Charlotte Hornets with one of the cleanest suits all weekend. A plaid suit and and black turtleneck is truly the ultimate combination. The All-Star players came out in style this weekend, proving that looking good is sometimes just as important as playing well.